Raft Racing Regatta - Interact Event Productions - Corporate Event Planning at Wholesale Prices! Many challenges stand between your team and success, but no Racing Regatta worth winning has ever been easy! 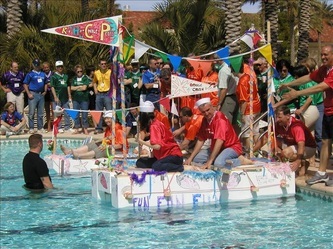 Teams of 8 people will be called upon to design, build, decorate, and race rafts in our Raft Racing Regatta. Forget what you learned in boy scouts (or girl scouts for that matter) about sailing, and forget what you learned from watching those old pirate movies. This is the real deal, and you’ve got to be sharp to win! 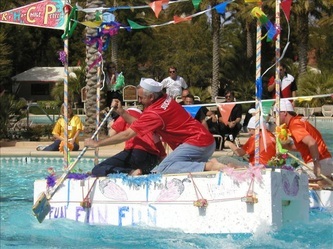 Each team will be given a Raft Trivia Book filled with challenging questions and riddles to fill out. 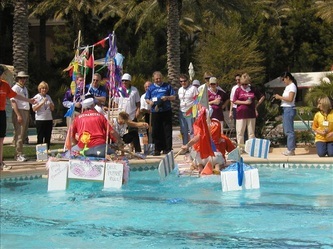 Each challenge question correctly answered will earn your team a piece of needed equipment for your boat. Who knows, there may even be some “red herrings” in there to confuse you! 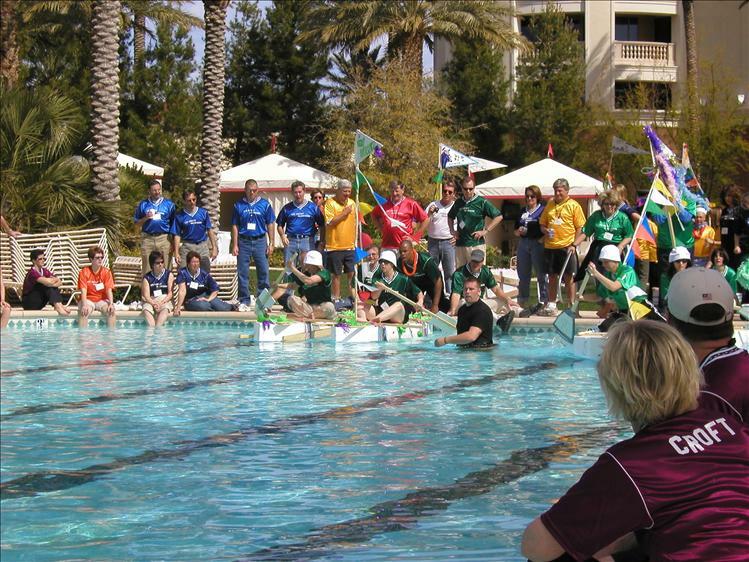 Rest assured, if you can prove yourselves smart enough to build and race in our Regatta, then you’ll earn all the equipment you’ll need. 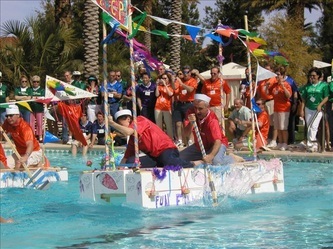 Oh, did we mention that in order to earn your equipment you’ll also be required to create a team name, logo, and a slogan for your team (hint: “We’re the best, we know we are, we’re big winners, ‘though our boats don’t go far!” won’t suffice!). 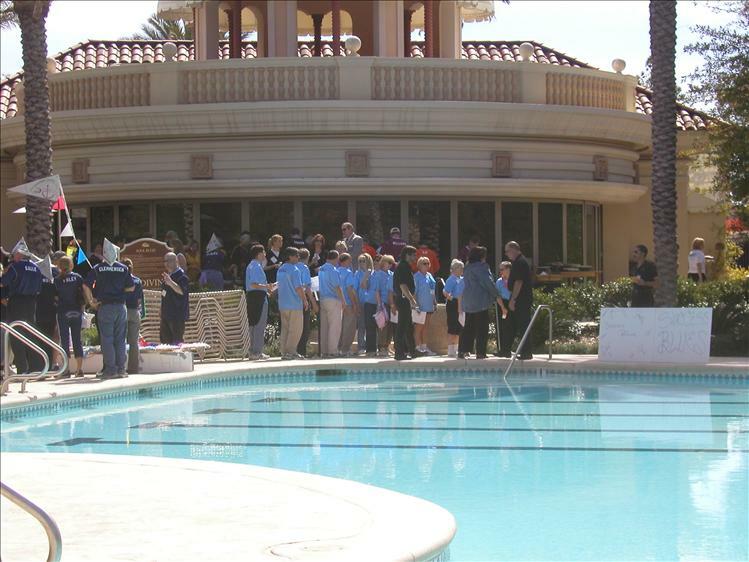 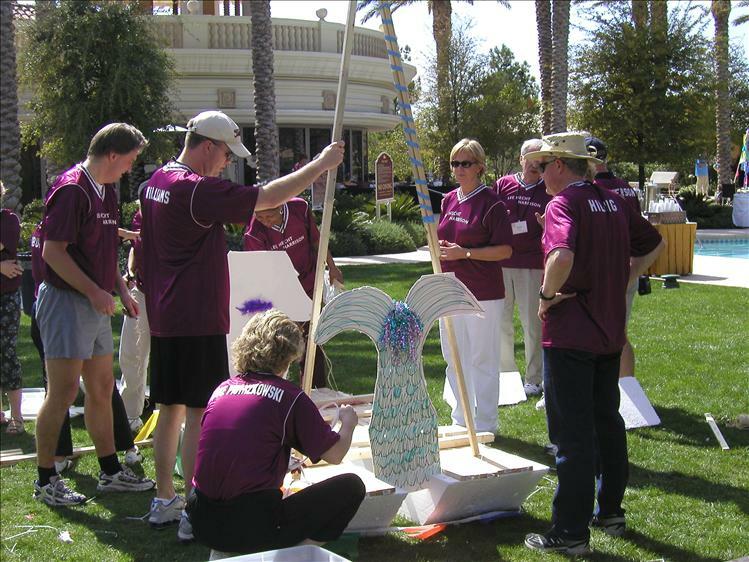 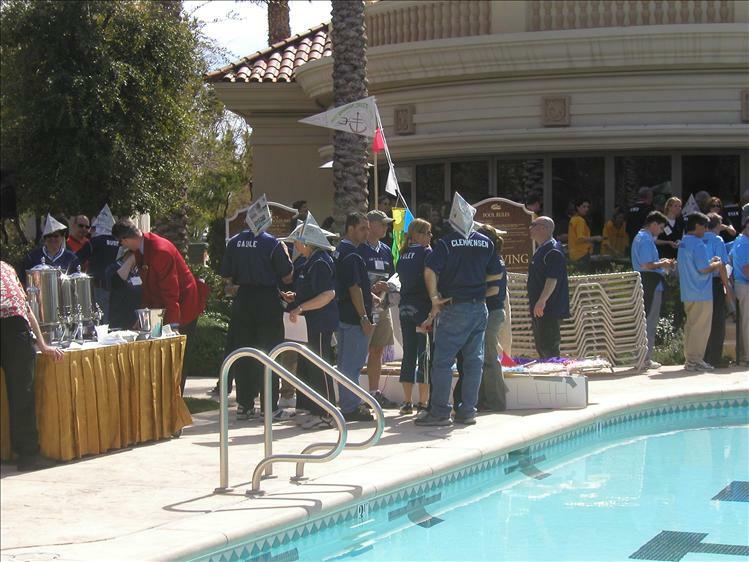 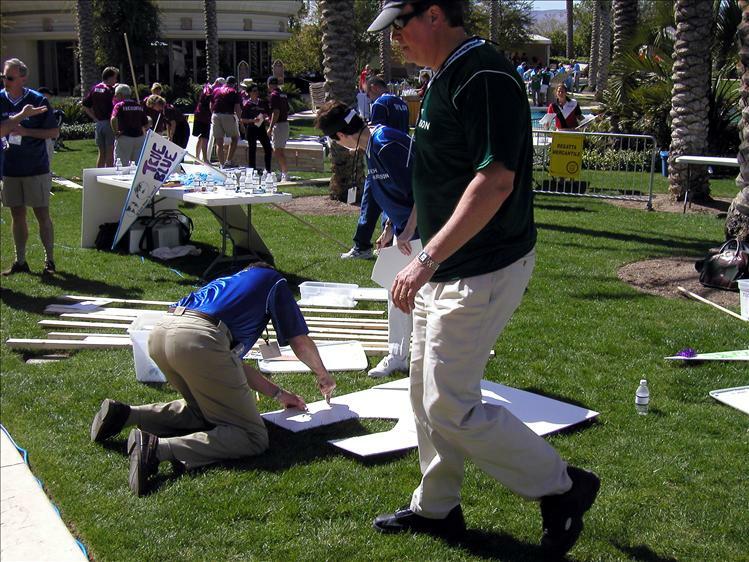 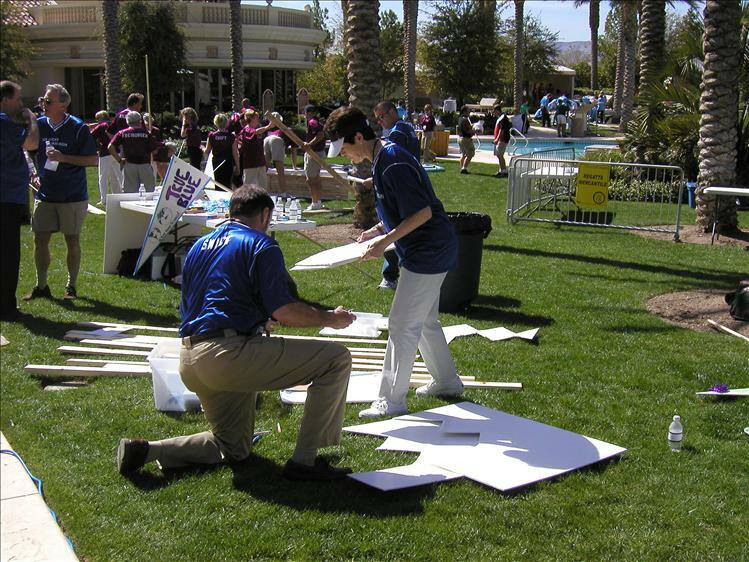 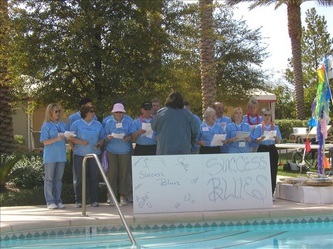 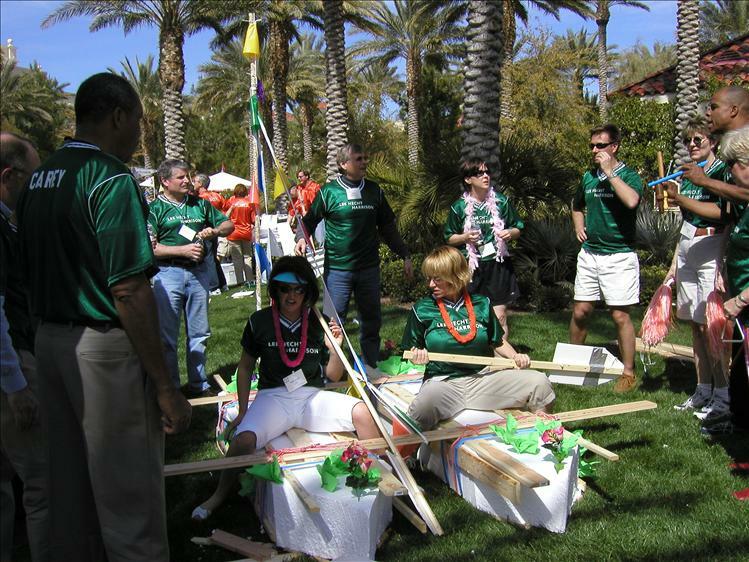 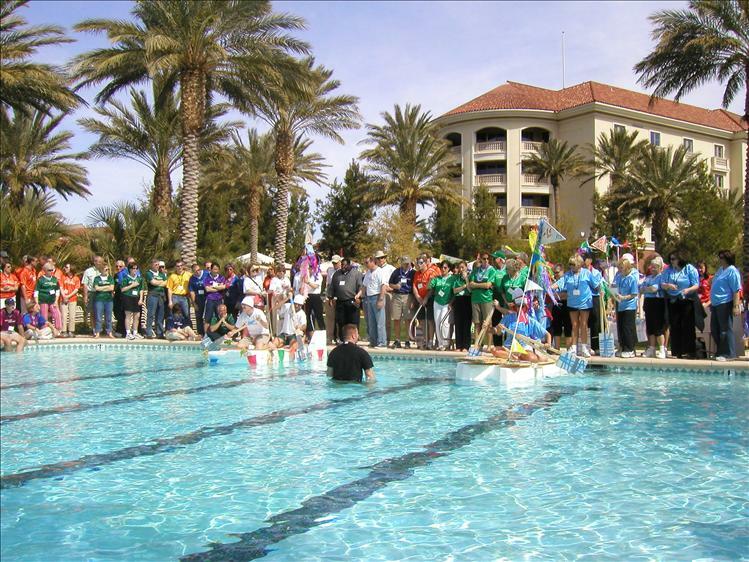 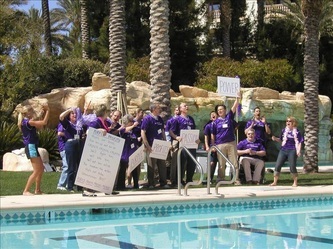 Also, each team will be required to create a team cheer that ties in a nautical theme with your company’s identity. 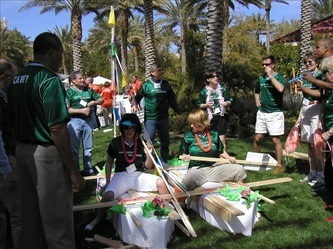 Teams will be scored on the cheer, and may even win “advantages” in the Regatta if they amaze our judges!! 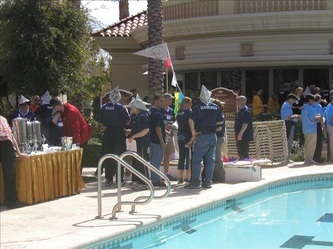 You will have just one hour to build your rafts utilizing the unique utensils and equipment we provide you. 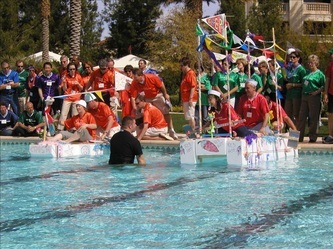 Following that comes the single-round elimination Regatta challenge! 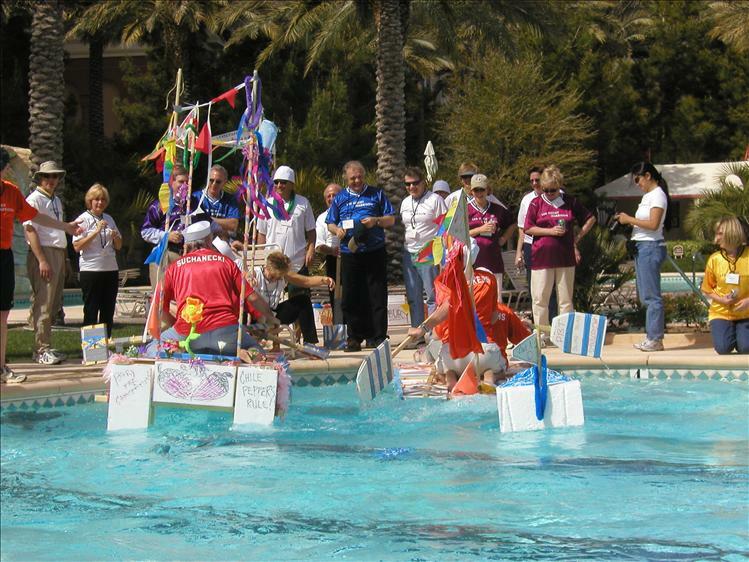 You’ve got one shot to prove yourselves worthy of competing… only the winning boat from each round will go on to the final competitions! 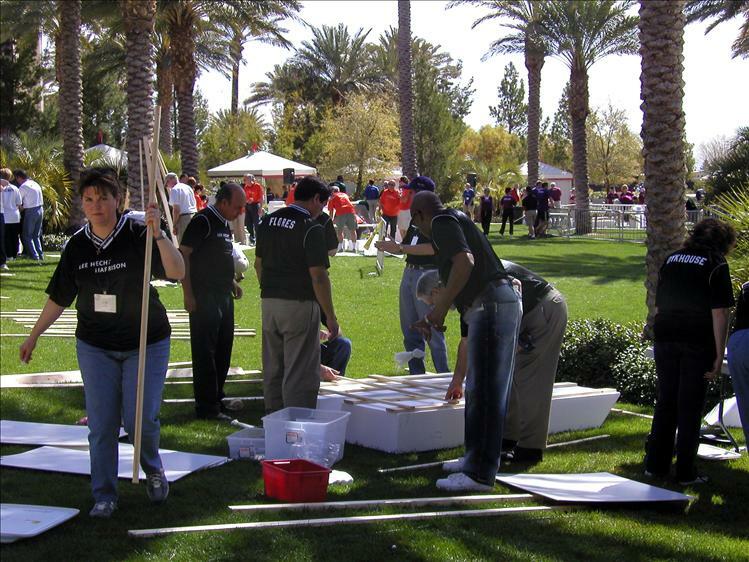 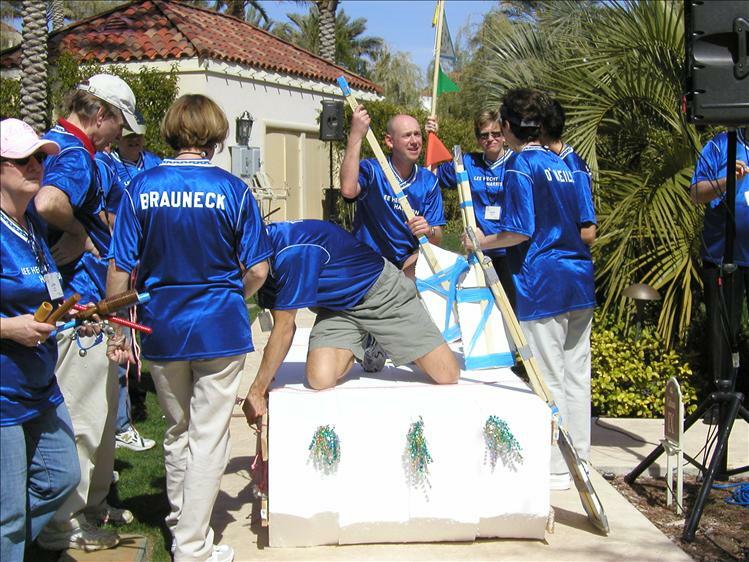 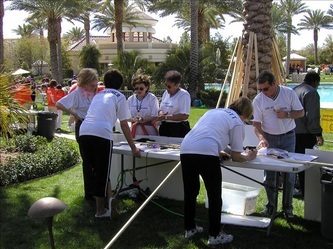 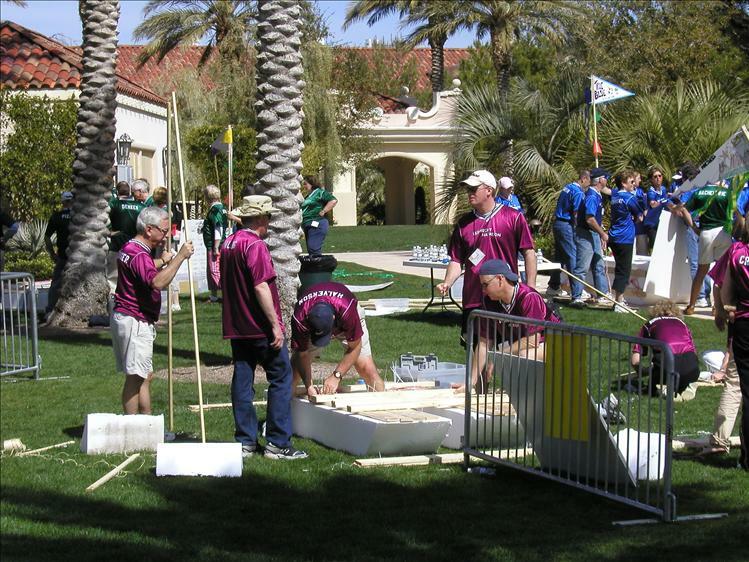 This section of the event is high energy and allows the teams to dispatch and engage with their team mates while they try to come up with a strategy for assembling the raft for optimal racing. 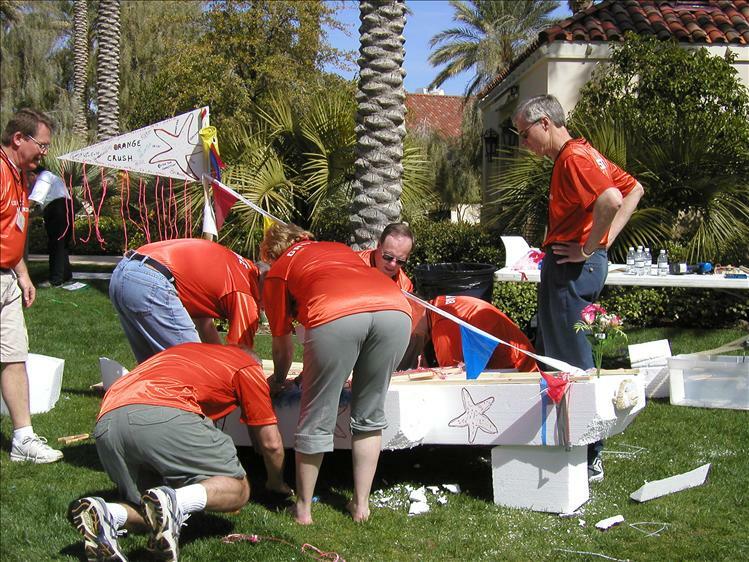 Strategy, communication and planning are key ingredients assembling the ultimate racing raft. 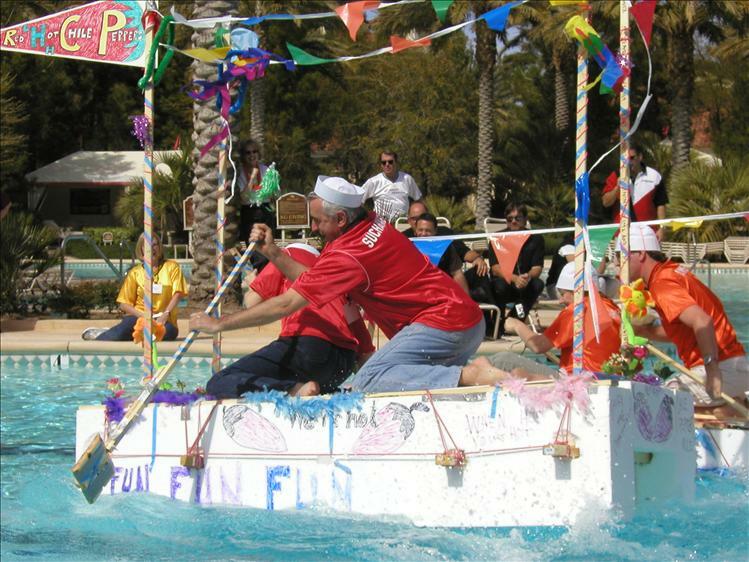 The awards presentation will focus on the “first” raft award and the “best built” raft award (comedy style only). 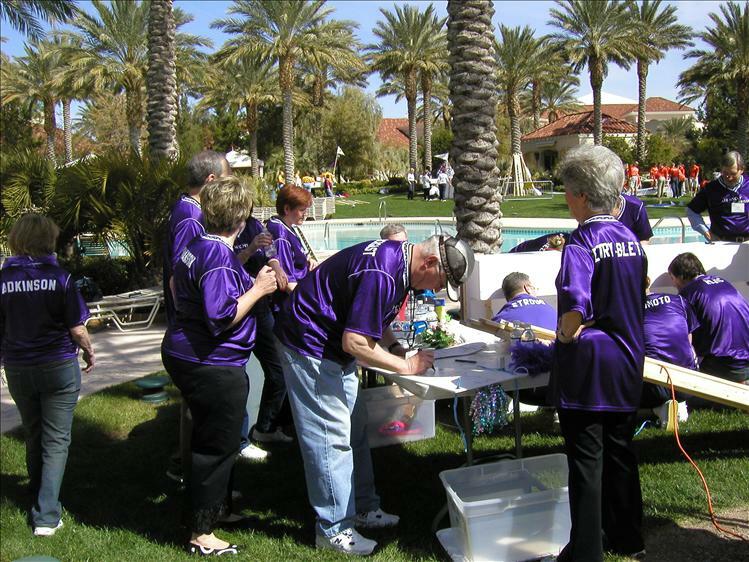 In addition each team challenge will have a champion award. 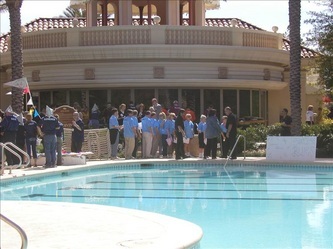 Many people will be recognized and all will be entertained in this fun filled benevolent experience.